This book focuses on the role and nature of the local church/congregation rather than on the work of ordained ministers or lay people. Written by an experienced practitioner it will help readers - both lay and ordained - understand their congregation better. 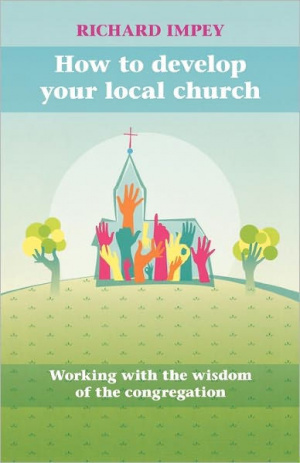 How to Develop Your Local Church by Richard Impey was published by SPCK in June 2010 and is our 22764th best seller. The ISBN for How to Develop Your Local Church is 9780281061433. Engaging, thorough, stimulating, visual and vital would be some of the instant responses on reading this unique contribution to pastoral leadership! Richard Impey brings a rooted yet aspirational heartbeat to ministry through the most diagrammatically rich ministry book I have ever encountered. Much research and resources on outlooks, inertia & impetus, life cycles, practical wisdom and so much more are truly manifest in each segment of this varied yet cogent resource. The most striking theme surrounding wisdom, love and the gospel embodied lingers on for this reader as the discernment of Gods working 'with' the revealed counsel of the congregation is consistently and clearly celebrated. Lone- ranger visionary leaders beware!! Written by an experienced practitioner, it will help you to understand your congregation better: how it operates, what its members take for granted, what their priorities are and what the ‘character’ of the congregation is. Just as no two churches are the same, there is no ‘one-size-fits-all’ answer to how your church might develop. Many have promised; this book really delivers! Perhaps strangely my only wish would have been for more story, more self-disclosure and for it to continue! Got a question? No problem! Just click here to ask us about How to Develop Your Local Church.